New living area & internal reconfiguration, 2011 - 2012. 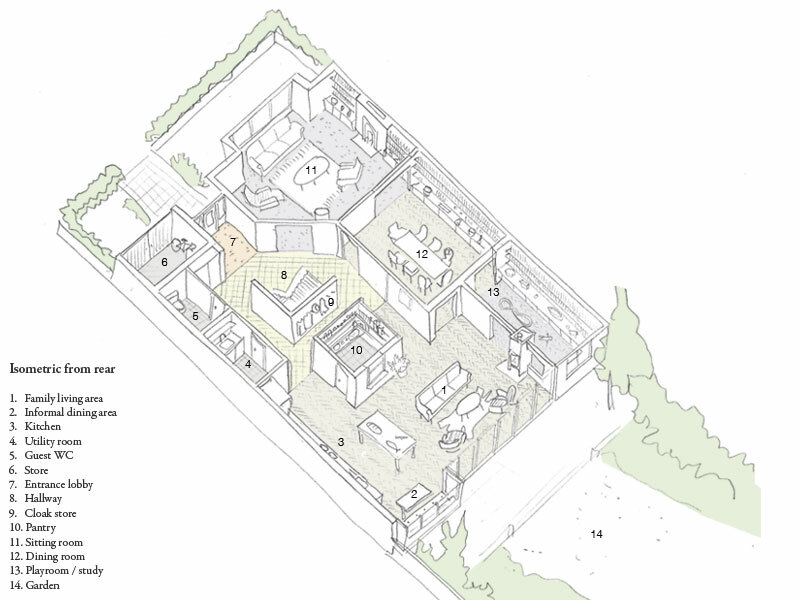 Project to rationalise a previously extended single family home in West London to take advantage of the substantial ground floor area. The dysfunctional layout is extensively reconfigured to create a series of rooms linked by a looped circulation route around the existing staircase & new cloak store. The formal sitting & dining rooms are accessed from one side whilst the other leads to the utility room, kitchen & pantry. A family room is created to the rear containing informal dining & living areas facing the garden with an attached playroom / study.